At AtlantaSky, there’s nothing more important than our web content creation process, html headings and title tags. 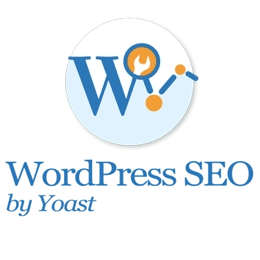 WordPress SEO by Yoast gives us the ability to change those title tags. WordPress SEO is the most complete WordPress SEO plugin that exists today. It incorporates everything from a snippet preview and page analysis functionality that helps you optimize your pages content, images titles, meta descriptions and more to XML sitemaps, and loads of optimization options in between. As you can see, the plugin automatically tests the important area’s of your content for usage of the focus keyword, so you can truly optimize your page for the term you need. The Yoast Breadcrumbs code has been powering many (premium) themes breadcrumbs for ages. Using the same code, the WordPress SEO plugin now gives way more granular control over this breadcrumb. You get to determine, for each post type, which taxonomy to show. You get to determine for each post, page and taxonomy, what title to use for that specific entity in the breadcrumb paths it appears in. Full control, that’s what this entire WordPress SEO plugin is about. XML Sitemaps are an essential part of current day SEO, and can thus not be excluded from a complete WordPress SEO plugin. While there are other WordPress XML Sitemap Generators out there, they don’t talk to your SEO plugin. Meaning that if you noindex a page, preventing it from showing up in Google, it might still be in your sitemap. They also don’t allow you to keep certain taxonomies out of your sitemap. This plugin does. And, to boot, it makes your XML Sitemaps look good by using an XSLT stylesheet on them, so humans can read them too. With recent releases, WordPress has added more and more bloat to the head section of WordPress installs. Luckily it also has methods to remove those. WordPress SEO will strive to keep your head section as clean as possible.